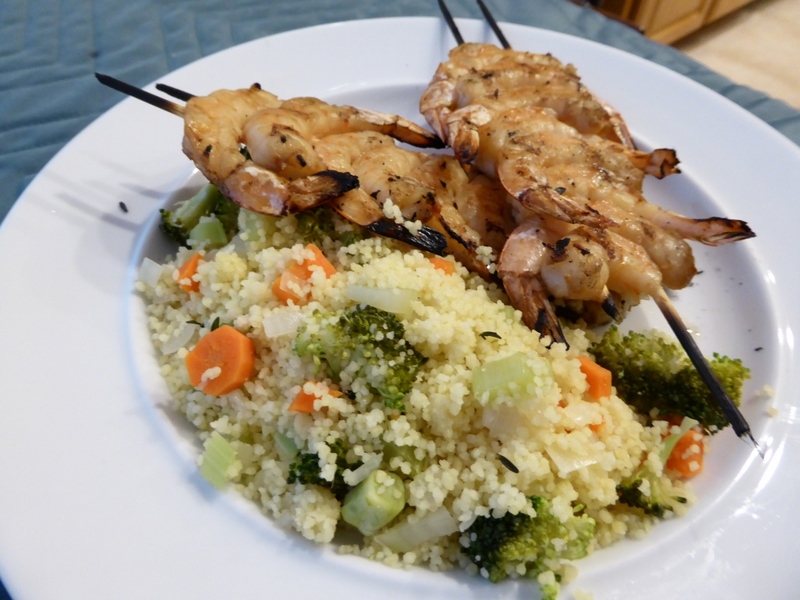 It is still pretty hot here so we decided to make a simple dinner of shrimp cooked on the grill and quick cooking couscous with some diced vegetables. John marinated the shrimp in soy sauce, garlic, ginger, sambal, and a touch of sesame oil and then grilled the skewers on the grill outside. I diced a bunch of vegetables, did a quick cook on them and then put them in some couscous which was steeped in chicken broth. An easy and satisfying dinner. This entry was posted in Shellfish and tagged couscous, shrimp. Bookmark the permalink.